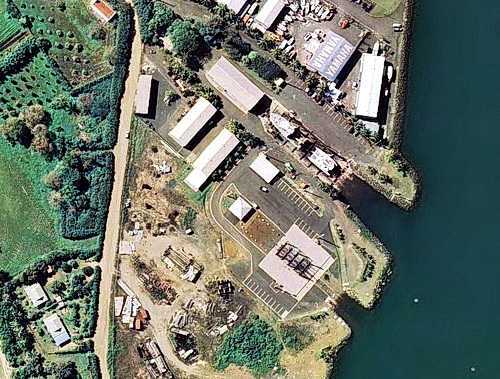 There are four commercial shipyard haulout facilities in Noumea. Nouville Plaisance is the largest slipway for pleasure yachts in New Caledonia. 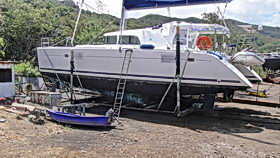 It is operated by SODEMO - the same group that manages Port Moselle Marina. 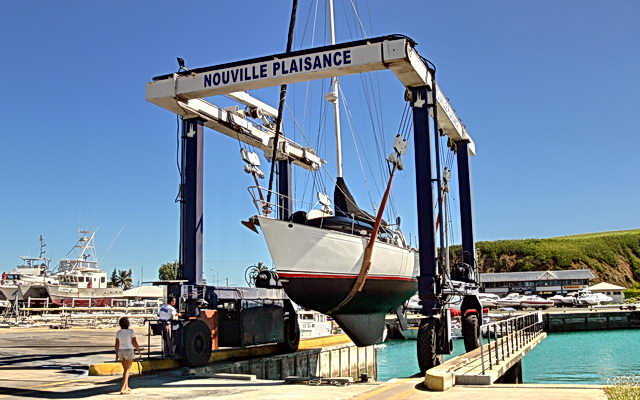 Nouville Plaisance is a yachting repair centre with a complete range of chandleries and yacht services. The travel lift will handle boats to 50 tons, maximum width 6.2 metres.The shipyard has a clean cement hard stand with provisions for long term storage, video surveilance, toilets and showers,and lifting crane. CarenOcean is located in Baie de Numbo. 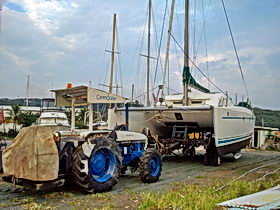 It has a marine railway capable of handling most catamarans and trimarans, a work dock with access for a crane and a limited hard stand area for working on smaller yachts. Neptune is also in Baie de Numbo and both Neptune and CarenOcean share the same management. Neptune has a travel lift for monohulls, maximum 34 tons, 15 metres long, 5 metres wide and a draft of 2.1 metres. 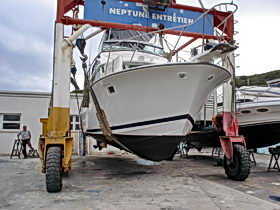 Neptune also has a hydraulic cradle designed to lift and carry catamarans maximum 18tons, 18 metres long. They are then placed in work areas on the grounds. Neptune is a dealer for Man and Nannni Diesels and has a mechanic, machine shop, alumium fabrication specialist and an area for painting. Port Autonome Nouvelle Caledonie operates two marine slipways in the Petite Rade - a smaller one for vessels up to 200 tonnes and a larger one for vessels up to 1000 tonnes. Costs for the Port Autonome shipyard facilities are are available here.